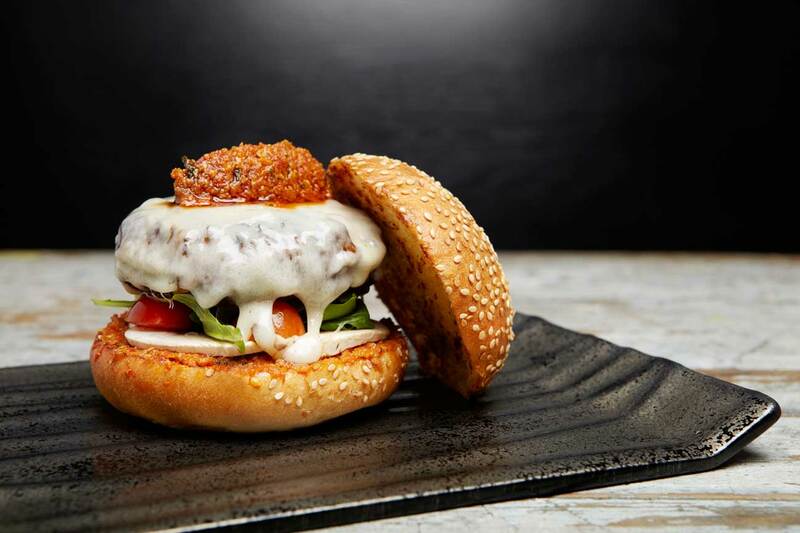 For some years now, Barcelona is the land of burgers: the gourmet burgers have multiplied, and it is difficult to make a selection of which are the 5 best burgers in Barcelona. Still, we decided to to prepare a list of what we consider the best burger in the city, even with the risk of leaving more than one which are really good. Do not blame us: the offer is very wide! Here you find not only quality ingredients and delicious recipes: also a good selection of dishes for lactose intolerant and celiac. And besides, there is also a good choice for vegans and vegetarians, are you surprised? Well, Little Bacoa is not like the others. Come to the number 2 of Colomines street to find out. In this small burger restaurant in the neighborhood of Horta, hamburgers shine with the power of rock stars: you can ask for a Iggy Pop, a Pink Floyd, a Metallica burger... You can also find salads, tapas and snacks, both hot and cold. Enjoy it in Plaça Ibiza, 11, next to the stop of Horta metro blue line (L5). A place whose name is based on a film of Dustin Hoffman and Jessica Lange (Tootsie, 1982) promises much, right? Well, we assure you that this hamburger will meet your expectations: created with love, all have names of great stars of the film world. You will find it at Calabria Street, 29, near the stop Poble Sec (Green Line). Japanese beef, bison, ostrich... La Royale is a gourmet burger for those who want to enjoy small works of art in every bite. And they also prepare a gin and tonic perfect to finish a night full of flavors. As we said, to choose what are the 5 best hamburgers in Barcelona is not easy, and we could still find many more: Bernie's, Mello's Bar, Crusto, Makamaka... All stand out for different reasons, and to decide which is best it depends, definitely, in your taste. We encourage you to try and decide who deserves to win the prize for the best burger in the city!